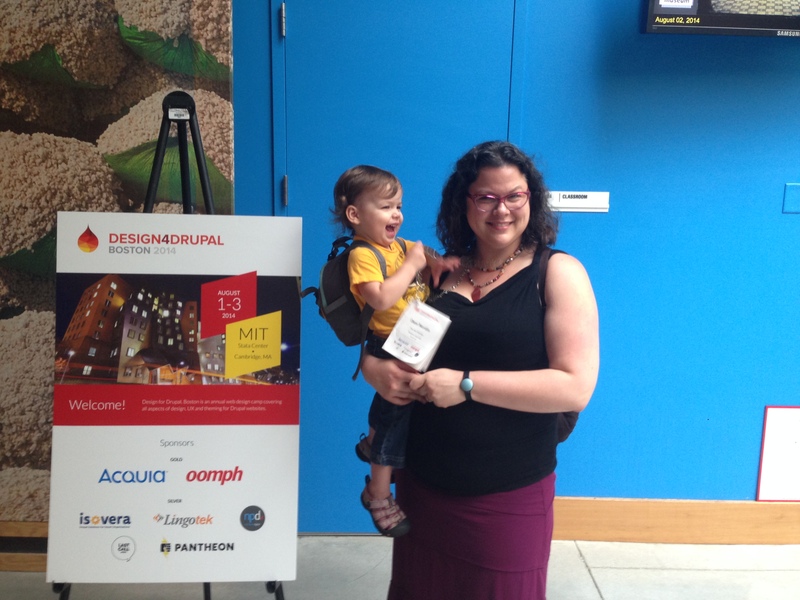 Since 2008, I've been actively involved in the Drupal community as a voice for design, UX and front-end development. In addition to co-organizing Boston's Design 4 Drupal Camp until 2016, I've worked hard to help the community find consensus on UX and front-end development issues, and to recognize contributions to the project that go beyond code commits. Co-organizing Boston's Design 4 Drupal Camp from 2010-2016. Conducting my graduate thesis research on the experiences of contributors in the Drupal community, including a survey of existing contributors, ethnography at Drupal contribution sprints, and an exploration of how French language and culture impacts Drupal contributors in France. Contributing to the Drupal Community Tools Team as UX Lead. 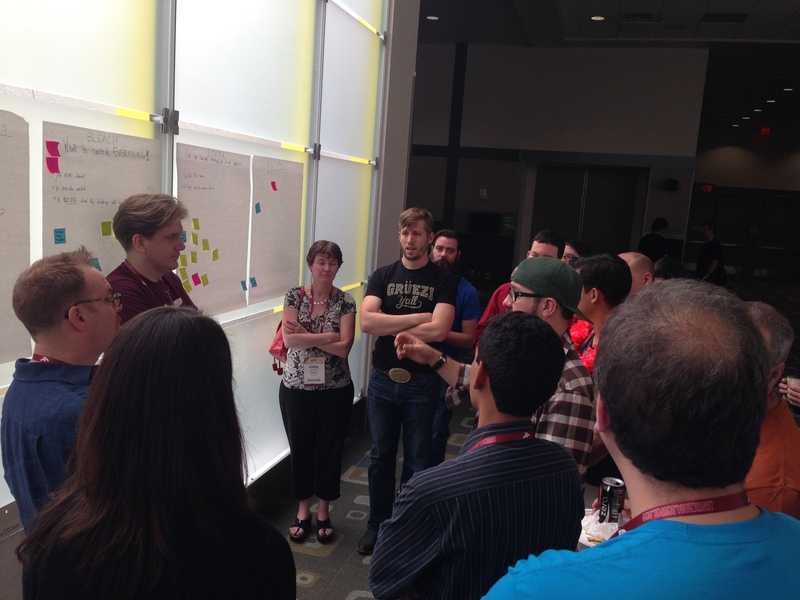 Leading a Core Conversation on engaging UX and design contributors at Drupalcon in both Austin and Amsterdam. Facilitating a session with leading Front-End contributors to arrive at a theming framework for Drupal 8 (nicknamed the Austin Consensus Banana). 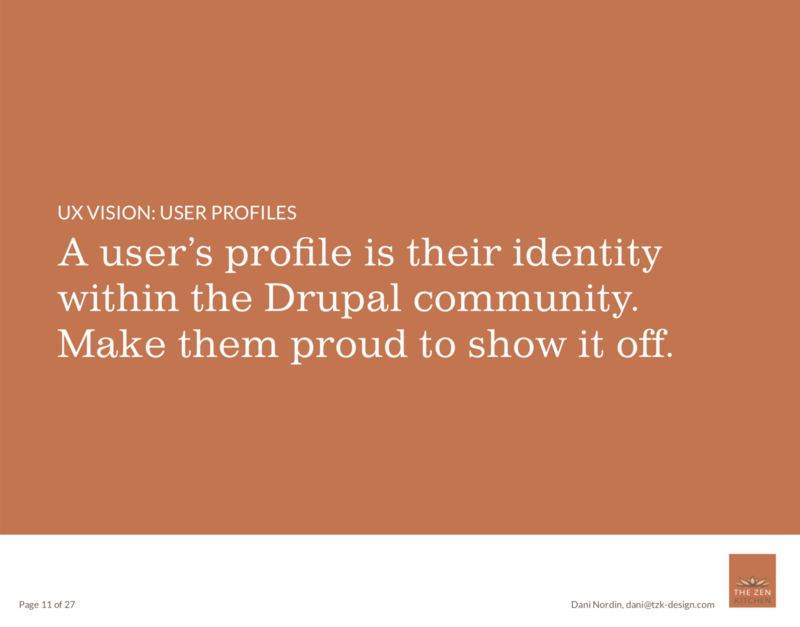 Redesigning the Drupal.org user profile to incorporate and recognize broader levels of contribution. As part of the overall strategy for the Drupal Community Tools Team, I created a vision and initial prototypes of the new Drupal.org user profile. 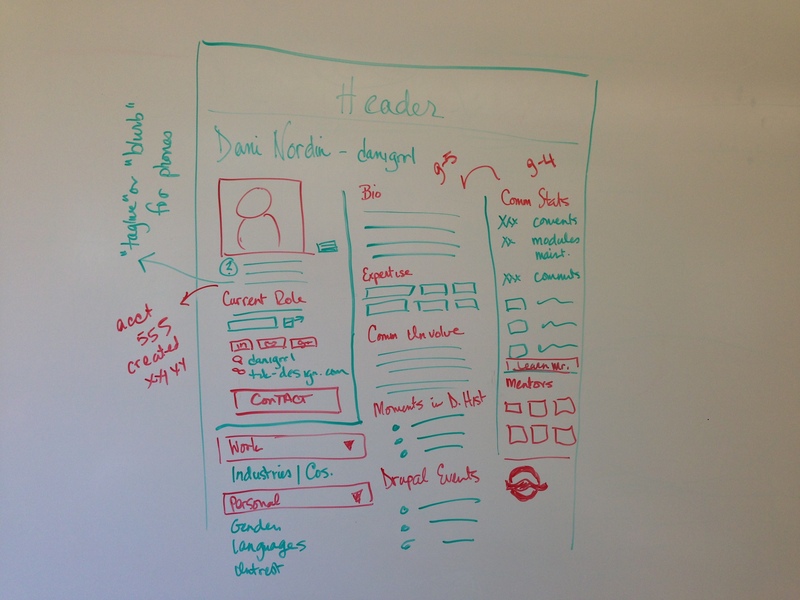 Based on the vision we established for the user profile, I created a handful of sketches before prototyping in Axure. I then solicited feedback from the community via social media and the Drupal.org issue queue. 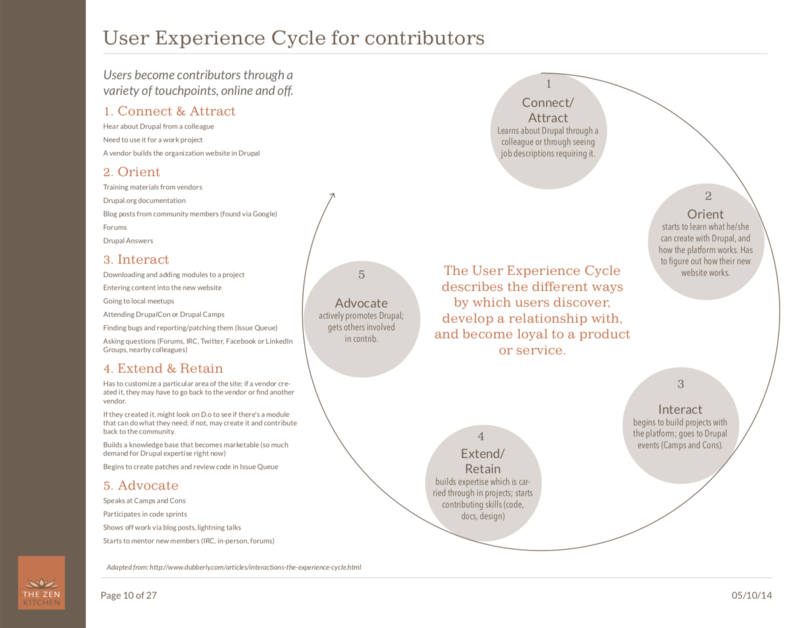 To better visualize what I was learning in my thesis research, part of the UX Strategy for Drupal Community Tools was a UX Cycle for contributors to Drupal. 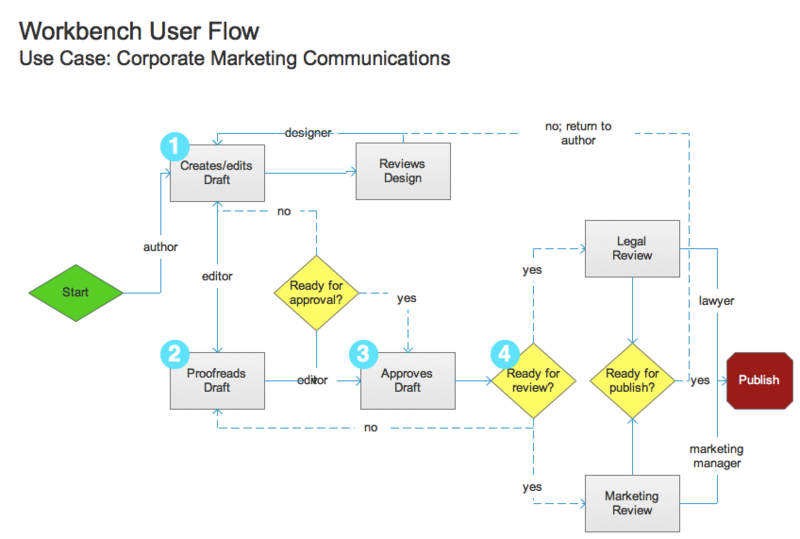 As one of my first contributions to the Drupal project, I worked with the team behind the Workbench module to create user flows for common types of publishing workflows. During the contribution sprints at Drupalcon Austin, I helped to facilitate a brainstorming session among front-end contributors to Drupal Core that lead to the creation of the Classy Theme, among other innovations.